Bega is a relaxed rural community that offers a tranquil lifestyle with an old fashioned country charm where the people are real. An ideal and safe community to raise a family, Bega has rolling green pastures, stunning National Parks and is a ten minute drive from the sapphire waters of the Far South Coast. The regional centre of the Far South Coast, Bega offers diverse employment opportunities, excellent private and public schooling and diverse sporting facilities. It also offers a wide range of shopping with a Coles and Woolworths supermarket and major stores such as Target and BigW. The town is also home to the South East Regional Hospital, the areas centre for health care services. Bega is an area currently undergoing considerable development. Rural lifestyle subdivisions in the immediate surrounds of Bega offer residents the opportunity to build or buy their dream home on small acreage. It is here that purchasers will find large modern style housing with serene rural views. Small acreage vacant land remains freely available and many blocks have essential services provided to the boundary. The Australian dream of home ownership, a few acres where the kids can play and enjoy country life is still very much alive in Bega. Bemboka is a quaint rural village located a thirty minute drive west of Bega. Nestled in the foothills of the magnificent Bemboka National Park, the area is know for it’s fertile farming ground. Lifestyle farms have become more prevalent in recent years and are popular with those seeking a quieter pace of life or a more sustainable way of living. Bemboka has a strong community atmosphere which is evident in the fierce comradeship on the sporting fields, the loyal support to the local primary school and in community events. Bermagui is a coastal town only half an hour from Narooma. Living in Bermagui ensures a tranquil seaside lifestyle with all the essential amenities. Living in town itself or on acres nearby, Bermagui offers cool coffee shops, a local oyster bar and some of the best home made Gelato in NSW. The continental shelf is at its closest point to the mainland here and the fishing is some of the best you’ll find anywhere in the world. A magnificent 18 hole golf course, lawn bowling rinks, skate park and all weather tennis courts are available in Bermagui. There is a pre-school, and a primary Public School in the town, and High school students travel to either Narooma High School, Bega High School or the Sapphire Coast Anglican College. The Bournda and Wallagoot Lake area is a natural haven for outdoor and nature enthusiasts. The Bournda National Park has excellent walking, biking and jogging tracks and Wallagoot Lake and surrounding waterways are ideal for water skiing, canoeing, kayaking, sailing, fishing and prawning. The local beaches are pristine, uncrowded spaces and offer an excellent surf break. Bournda is close to Tura Beach, Merimbula, Tathra and Bega, and provides a chance to combine both the rural and coastal lifestyle. Brogo is a rural area located north of Bega on the Princes Highway. With fertile farmland, rolling hills, bush and rivers Brogo is a popular area chosen by many for a quieter lifestyle away from town. Residents enjoy the natural beauty and have close connections to the environment, choosing to often design, build and create homes that are sustainable. Self sufficiency, diversity and community spirit are hallmarks of true Brogorians and newcomers to the area will be delighted by the old fashioned country welcome. Candelo is a trendy rural community located on the outskirts of Bega. Popular with artists and musicians, Candelo is a rural village that exudes an old fashioned relaxed atmosphere with wide streets and houses with overhanging verandahs. The Candelo village offers primary aged schooling, sporting facilities, it’s own 50m swimming pool and one the regions most popular market days. The general store and cafe offers locally made goods and a licensed restaurant. Cobargo is a small rural village located on the Princes Highway north of Bega. A community with a huge heart Cobargo is home to varied and talented artisans, rich and diverse farming families and those who enjoy a quiet life a little away from the hype of larger areas. The town gets together once a year to host a wide range of local, national and international musicians with the famous Cobargo Folk Festival. Cobargo is surrounded by a particularly beautiful rural landscape close to the setting for TV’s River Cottage in the nearby National trust town of Tilba. Kalaru is a small rural township located on the Tathra Road between Bega and Tathra. The small community is predominantly lifestyle blocks with modern or Australian country style homes. The area is ideally located a five minute drive from the beautiful Tathra Beach and a short ten minute drive to Wallagoot Lake and the Bournda National Park. For the horse lovers the Sapphire Coast Turf Club is close by. Kalaru is an area popular with those that love a little space or like the affordability of living close to the beach without beach price tags. Mogareeka is a 10 minute drive north from Tathra and is surrounded by the Tanja State Forest and Mimosa Rocks National Park. The homes in Mogareeka are set in tranquil surrounds and provide for oceanside living among beautiful spotted gums. Mogareeka is close to Tathra, a town that is well covered for the basics of day to day living with supermarkets, a post office, pharmacy, clubs and take away shops. 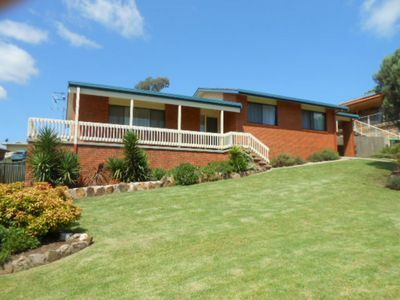 Quaama is a quiet rural community located on the Princes Highway just a 20 minute drive north of Bega. While the area mainly consists of farming and lifestyle blocks, Quaama also has a small selection of properties on regular house sized blocks. Quaama appeals to those wishing to escape the hustle of the larger towns and is becoming increasingly popular with organic farmers, artists and buyers interested in creating a small farming lifestyle. Quaama is a diverse and supportive community that offers a rural lifestyle with all the conveniences of Bega a short drive away. Tanja is a picturesque coastal rural area located between Tathra and Bermagui. The are is predominantly rural although coastal blocks have become more popular. Tanja is an ideal area for those seeking all the advantages of the coast with the peacefulness of a rural landscape. Tanja is a short drive to Tathra and Bega with a small primary school and a strong sense of local community. Tarraganda is the golden mile in real estate of Bega. 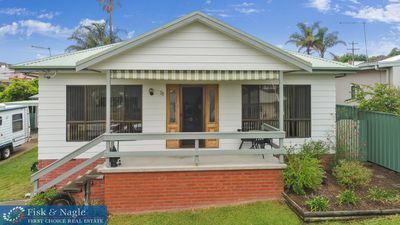 Situated on rolling farm pastures the area is a five minute drive from town and a two minute drive from the local Bega Golf Course. The area has particularly beautiful rural views over surrounding farmland toward Mumbulla Mountain. There are a variety of real estate options available in Tarraganda from small lifestyle blocks, house sized sections to larger lifestyle parcels of land. The closest beach to Bega and just a 10 minute drive from the town, Tathra has gradually become a well developed community in its own right and a much loved seaside holiday destination. Tathra Beach is the gateway to the beautiful Mimosa Rocks National Park which is home to secluded beaches, excellent secret surfing spots, walking tracks, bike trails and camping sites. Tathra has a primary school, shopping facilities and a number of good restaurants and cafes. Real estate in Tathra is a mix of the old and new with colonial style housing, contemporary brick and tile and modern beach style homes. Wapengo Lake is located off the Tathra-Bermagui Road in the Mimosa Rocks National Park. The location offers peace, serenity and untouched natural bushland. Many of the houses in this area are traditional farm houses in a rural setting. The newer houses are designed to complement the natural surroundings by using timbers and rustic materials. The area remains largely rural, although coastal lifestyle blocks have become more available. There are opportunities for fishing, swimming, surfing, snorkelling, walking, birdwatching or just sight-seeing. School aged children are catered for with nearby primary school and a secondary school. Full bus services are provided to all colleges schools. Wolumla is a historic rural village located to the south of the Princes Highway between Bega and Merimbula. Surrounded by rolling farmland and lifestyle blocks with tranquil vistas, the Wolumla village is where purchasers with a love of history will discover the perfect renovation project. The historic memorial hall is often host to classical musical recitals, visiting country music artists and community events. Just a 10 minute drive to the beach and a 10 minute drive to all the services of Bega, Wolumla offers small town living close to town and the ocean.